Choosing to lease aircraft is one way to develop a fleet. Bernie Baldwin reports on the some of the available options. For a start-up airline or an established airline undergoing re-fleeting or for simple fleet expansion, there is always the decision to be made as to whether aircraft should be acquired via a purchase or on operating leases. Influencing that decision is how easy it is to find finance for the preferred aircraft type and its associated engines or whether an operating lease would be a better option. Across the aircraft generally operated by low-fare carriers and regional airlines – including A320s, 737s, E-Jets, CRJs, SSJ100s as well as those ATR and Bombardier turboprops – the challenge to take on certain types can be far more difficult than others, as Anne-Bart Tieleman, CEO of TrueNoord Regional Aircraft Leasing, observes. “The SSJ100s present the most challenging financing market apart from Russia where some domestic institutions are able to provide funding. Outside the Russian domestic market, the type has gained little significant market acceptance,” Tieleman observes. “The only exception is Interjet in Mexico, where the aircraft has, to date, proved successful although the airline is looking to reduce its exposure to the type over the coming years. In addition, the only western [European] operator of the type, CityJet – which has flown the type on behalf of Brussels Airlines – has now grounded the aircraft. “While the aircraft has proved technically highly capable, it has suffered from a poor level of after-sales support, particularly in relation to the supply of spare parts, so that this combination of a restricted operator base and below industry normal support levels has led financiers to be sceptical about long-term residual value, which, in turn, has led to low levels of financing appetite,” Tieleman adds. Conversely, there are types for which the market has a healthy appetite. “If we were to create an order of easiest to hardest, the A320 and 737 present the easiest types to finance from an asset class perspective as these are now more commodity type aircraft with many banks and lessors willing to finance either type at extremely competitive rates,” the CEO remarks. “After this the E-Jets, ATRs and Q400s can be financed by a number of regional aircraft lessors and some aircraft finance banks who are willing to lend against regional aircraft types. The market is narrower than for the single aisle aircraft, but there are now a reasonably adequate number of parties that will engage on these types compared to 10 years ago. This includes lessors such as TrueNoord, Avation, Falko and Chorus. Regional aircraft have even found a level of acceptance in ABS transactions,” Tieleman confirms. secondary market,” he continues. “The CRJ900 is the most liquid and easier to place; by contrast the CRJ1000 has a very narrow aftermarket and can only be financed with a long term and low residual value at the end of the financing term. Similarly, the now out of production E170 is also less attractive to the finance community. “While the above order presents financiers’ appetite from an asset class perspective, the ability of banks and lessors is also driven by the credit quality of the airlines that operate them,” Tieleman adds. The residual values of aircraft vary, affected by a range of influences. As a turboprop specialist, Poutissou assesses their performance in the used aircraft market. “Turboprop depreciation rates have historically been lower and more stable than those for regional jets and even larger commercial jets,” he notes. “This is largely due to the long design lives of the airframes, the unique performance capabilities and the short-haul economic advantages of turboprops. With no new replacement programmes under development, we can expect that the residual values for both ATR and Bombardier Q Series aircraft will continue to perform well over the long term. Tieleman concurs with Poutissou’s appraisal. “Over a 10 to 12-year time horizon both turboprops have comfortably achieved residual values in excess of 50%,” he reports. 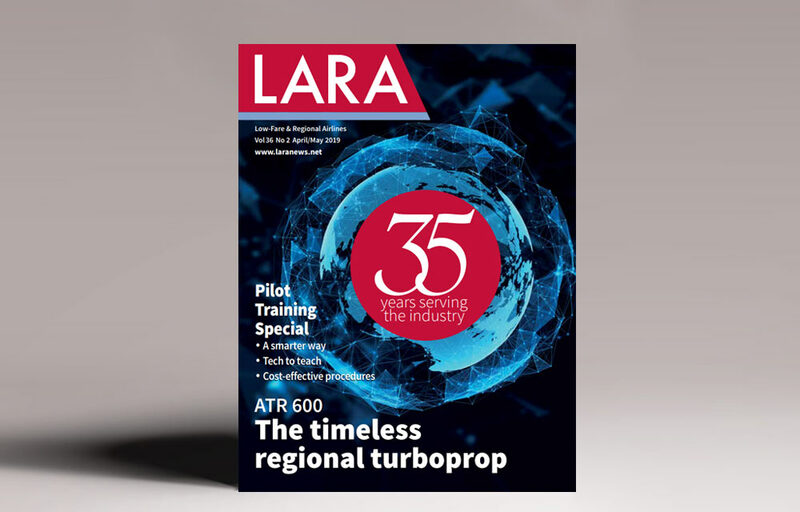 “Although the absolute scale of the market is much smaller than the single aisle aircraft, the turboprops benefit from certain market characteristics that underpin long-term residual value. “For example, given the local nature of turboprop demand, geographical location can play a part. Much of the growth in turboprop demand over the past decade has occurred in Southeast Asia, which is now ATR’s largest market,” he adds. “Regional jet markets are also smaller than for single aisle aircraft, but for current generation aircraft long-term residuals are similar. However, the RJ market also has some specific local and regional elements,” states Tieleman. “The most important is the US market where in excess of half of the fleet is based. Therefore, the economic fortunes of the US market have the most important effect on the RJ market. In making fleet decisions, airlines always have a range of options. If they choose to lease, then the leasing companies are very likely to have a solution for them.